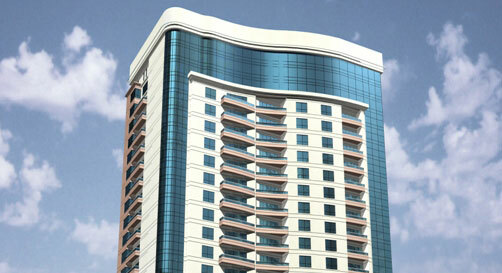 Cebarco Towers is an up-market apartment building with 24 floors and 120 apartments in Mahooz. There are 1, 2 and 3 bedroom apartments, under cover parking for over 180 cars, a swimming pool, a gymnasium and a penthouse. Light weight blocks have been used to provide energy efficient walls. High specification bathrooms, extensive use of marble and granite and high quality doors and windows have also been used.